I have owned two Saab-O ‘s and still own one now. (Pictures of that one to follow.) My latest Saab-O was brought in from Sweden along with the 1958 Saab 93b that I sold Jay Leno. This Saab-O was one for the last ones made and actually has the redesigned floor plan for 1968 model that never made into production before the cancelation of the Saab-O project. This is the first Saab-O I bought and this Saab-O now has a new home in Massachusetts with Peter Maitland. Peter and his brother Dave did the unthinkable driving Peter’s 1968 Saab wagon from Mass to Washington state for the SOC then, stopped by Iowa on the return trip and pick-up his new SaabO and towed it behind his ’68 wagon back to Mass!!! This a no small feat. The wind drag of a SaabO is incredible!! Peter sold the Saab-O to GM and they restored it, but now since GM and Saab both went Bankrupt, he owns it again. Good on ya Peter & Dave!! Saab made a brief excursion into the caravan-building business in the early 1960s. The Saab caravan – called the Saabo – was intended to serve as a product that would even out the workload at the Saab helicopter department, whose main task at the time was to assemble helicopters manufactured in France. The Saabo caravan was very lightweight. The body alone weighed no more than 80 kg (176 lb). It was designed for towing by very small cars, and the Swedish regulations for caravans at that time favored very lightweight vans. The length of the caravan (without hitch) was 2.74 m (9 ft), the width was 1.84 m (6 ft), and the overall height was 2.10 m (7 ft). The headroom in the caravan was 1.80 m (5 ft 9 in). The first 50 production caravans were not fitted with brakes, since these did not become mandatory in Sweden until the mid-1960s. 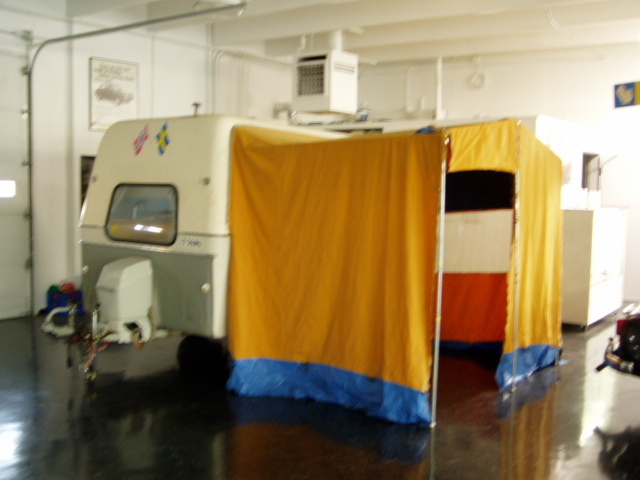 The prototype of the Saabo caravan was made by Fisksätra boatyard, and the pre-production batch of three caravans was built by another boatyard – Marieholms Bruk. 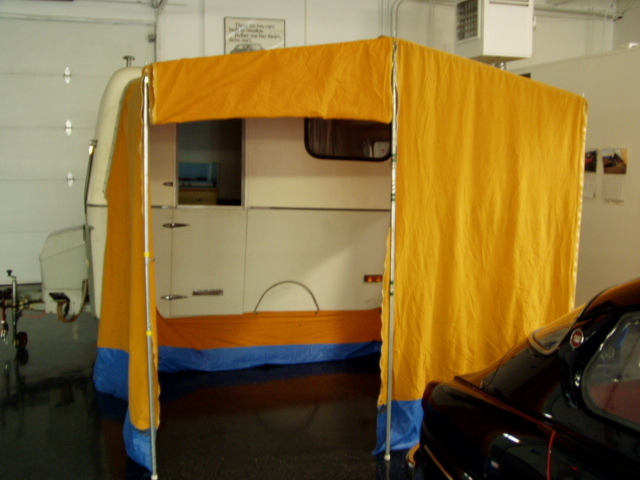 The Saabo caravan was sensibly designed, since the front and rear windows were so low that the driver of the towing car had backward vision right through the caravan. The interior fittings included two sofas, a dining table, galley sink and two wardrobes, and the caravan could sleep four (five with an extra bunk). Gas was used for cooking, heating and lighting. 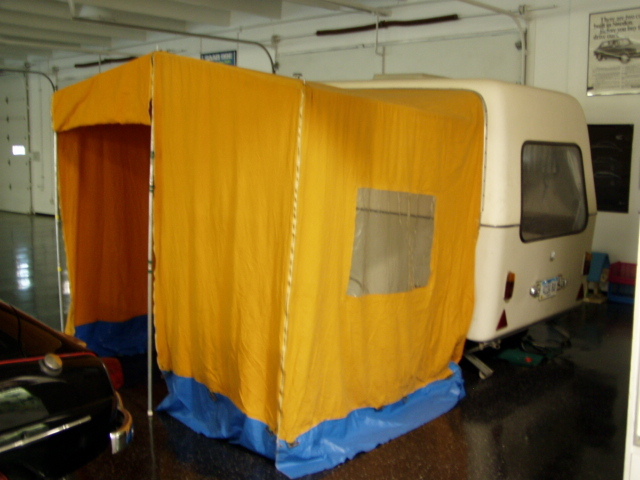 When launched in 1963, the cost of the caravan was SEK 4950 (US $850). 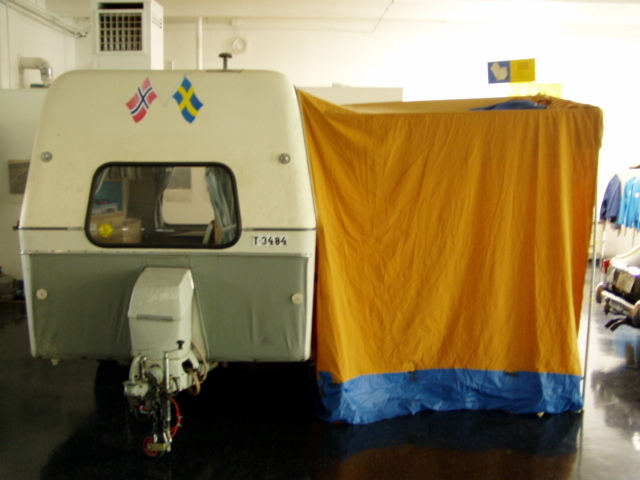 About 400 Saabo caravans were manufactured, and more than 30 are still registered in Sweden.den.